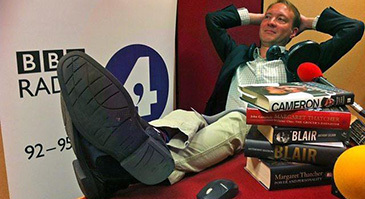 London South Bank University’s (LSBU) Professor Stephen Barber presented a BBC Radio 4 documentary on 8 October 2016 which discussed the pressures the media and the democratic system place on the UK government to act, initiate and modernise - including contributions from high profile public figures. The idea for the programme emerged from research Prof. Barber has been doing around how government works. His research looks at what governments do but also what they choose not to do, and the simple notion that, sometimes, doing nothing can produce better results. Prof. Barber said: “It is great to be able to present a programme which investigates the benefits of inaction and why the option of doing nothing is so often overlooked. The programme investigated what fuels unnecessary action including competition between ministers for parliamentary time and financial resources, the increasing complexity in law, and the media. In the documentary Prof. Barber interviewed: Baroness Tessa Jowell, Dame Margaret Hodge MP, Sir Richard Mottram, Peter Lilley MP, Trevor Kavanagh, Lord Francis Maude and Baroness Estelle Morris. Prof. Barber added: “What has been really interesting in making the programme, and interviewing a number of elite informants, is just how many of those who have experienced these pressures agree with me about the systemic failings and agree that things could be done better. Find out more about Public Administration and Policy courses at LSBU.